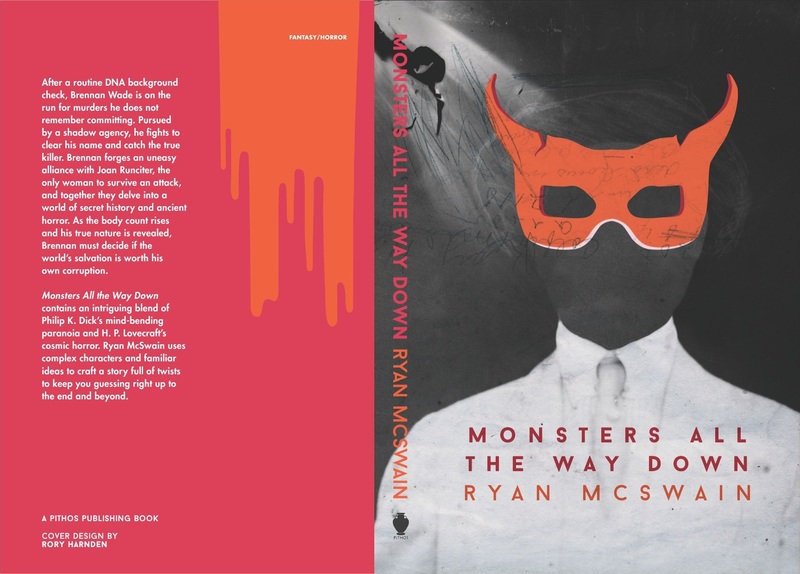 Once I decided to go the self-publishing route for Monsters All the Way Down, I wanted to do it professionally or not at all. This meant hiring someone to do the cover. Googling failed me. 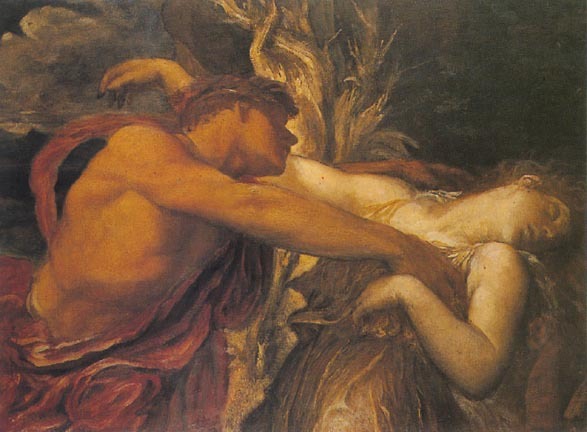 I sent out a Twitter SOS and connected with some excellent designers, but none were the right fit for Monsters–or for the novels in progress that will connect with it. I considered hiring a comic artist, but it became apparent designing the cover for a novel is different than illustrating for comics. My buddy Josh Jordan hires photographer J.R. Blackwell and designer Daniel Solis to make some of his covers, but most cover designers in my price range put a heavy emphasis on stock images. There is nothing wrong with this approach, as evidenced by the majority of published books, but I wanted something a bit different. I lurk Reddit’s r/writing, so I looked there. I stand before you now, the only person to have benefited from the infamous Reddit search engine. This past NaNoWriMo, Rory Harnden made covers for author free of charge. 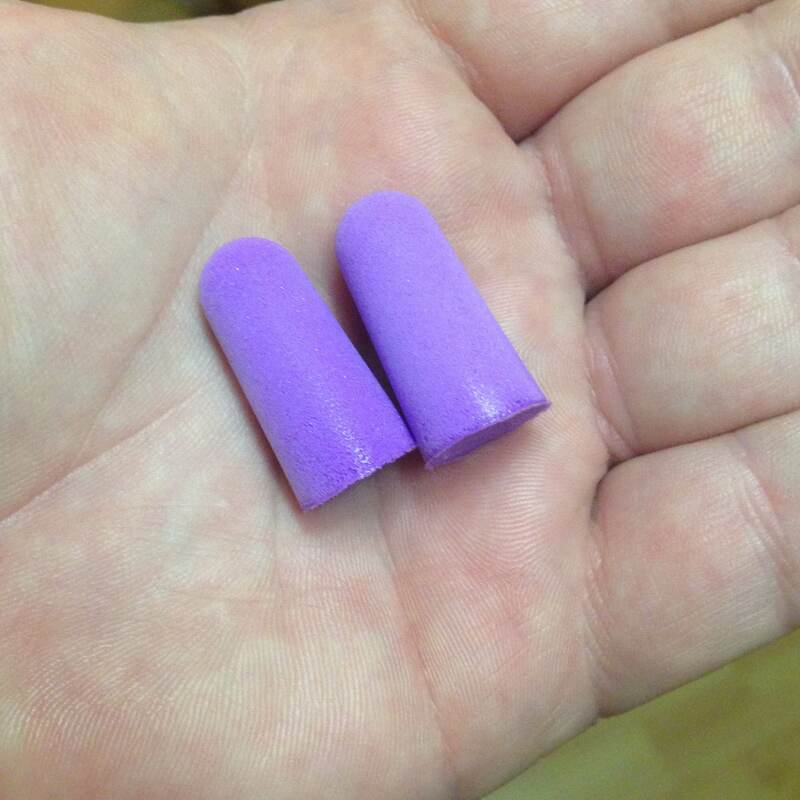 Liking the look of them, I tracked down his website. I emailed the information he requested, and asked for a price quote on both an ebook cover and a wraparound print cover. In my initial request, I attached some images I thought could help, including a devilish mask, a white suit, and an album cover with a style I liked. Rory got back to me in the next day with a reasonable price. After payment and more information from my end, he worked up four impressive concepts. After narrowing it down to my favorite, I made a quick mockup to see how it looked as a thumbnail on Amazon. I got a confirming second opinion from my wife and asked Rory to run with it. We emailed back and forth on the details. Rory’s in the Netherlands, so his 7 am is my midnight, but he always got back to me quickly. A couple of times I asked him to make a change only to regret it. He was consistently polite and didn’t mind changing it back to before my meddling. I asked him to include my favorite element from a rejected concept–dripping ooze–on the back cover. Once the cover was finished, he sent me the images and other pertinent information–fonts used, copyright information, etc. I bothered him once more to make sure I could use elements from the cover in promotional material, and that was that. Along with print quality covers, I received the image in black and white, a version without text, and several versions of the formatted title as an image. Elapsed time from request to files in hand: two weeks. Would have been even faster if I hadn’t gone back and forth on those minor details. If you’re needing a cover–or any graphic design work, for that matter–I recommend Rory Harnden without reservation. He’s professional, fast, and accommodating of wishy-washy first-time publishers. You can contact him from his website at rrry.me. Establish your budget. You can be thrifty, but a $5 cover will probably look like a $5 cover. Shop around. Google, Twitter, deviantART, and Reddit are places to cast a wide net. Make sure you know the designer’s policy on revisions and how the material can be used. Make sure the cover looks great at the size of a postage stamp, as that will be how many first see it. Would it draw your attention if you scrolled past? If you need a print cover, know your cover size and word count before seeking out a designer, even if it’s an estimate. CreateSpace and other print-on-demand services will provide a template your designer might need. 6 x 9 inches is a popular cover size, but I went with 5.25 x 8. Provide suggestions and some starting points. You’ve lived with your book for a long time, but this will be the first the designer is hearing of it. You know the tone and motifs of your book better than anyone. Don’t expect the designer to read your book. Ask for the changes you want. You’ll hopefully be associated with this image by billions of adoring fans, so it’s worth the time to get it right. Realize it takes time to make those changes. You may get a quick turnaround, but it may be a day or more before you hear back. If you’re planning on doing more than one book, keep that in mind. You may want a designer you can use for multiple projects, and some designers give a discount for work on a series. So that’s the story of my first time getting a cover made. If you’ve had an experience with a cover designer, positive or negative, please share in the comments. 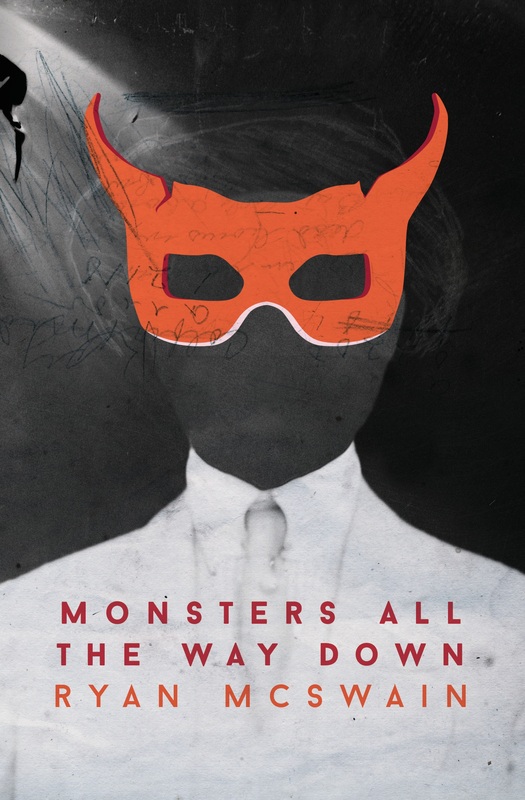 Monsters All the Way Down is scheduled for release August 1st. Short Stories Now on Smashwords and DriveThruFiction! 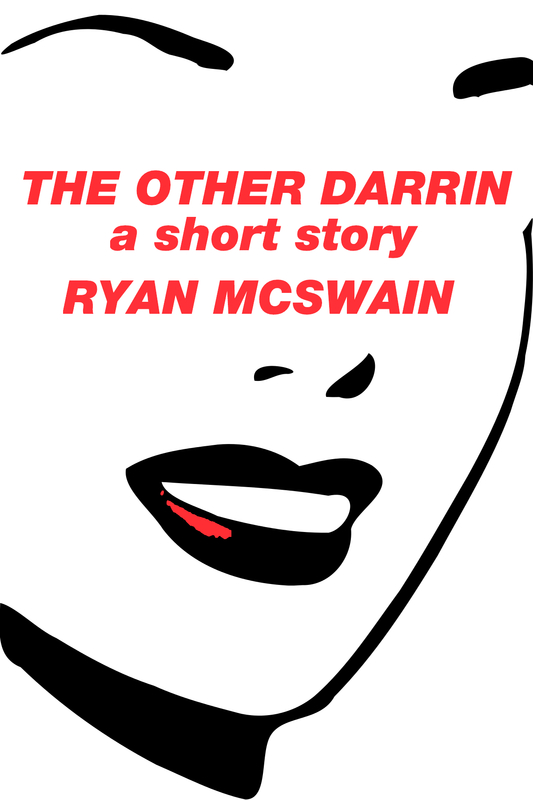 For those that prefer their ebooks as epubs, The Fix-It Man and The Other Darrin are now on Smashwords. EDIT: Just got approved on DriveThruFiction! Both stories are there in mobi and epub along with the excellent Trust Me anthology PDF with my Porcelain Girls story. As for Monsters All the Way Down, formatting is still underway. Short Stories Available on Amazon! 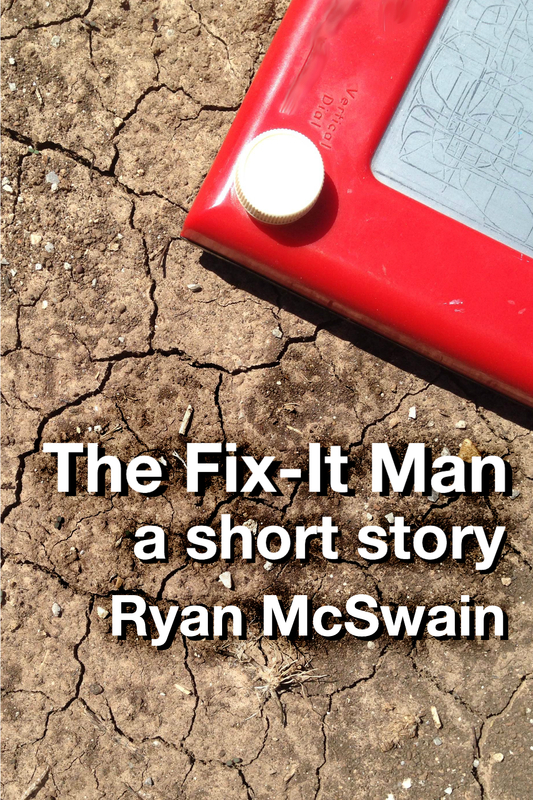 Two new short stories are up on Amazon: The Fix-It Man and The Other Darrin . They’re both quick little psychological trips in the vein of the Twilight Zone. Only $.99, and they include a three-chapter preview for my new novel–coming this summer!